I got some great books this week! Monday starts my 2 week long law school finals so I will have to wait to read them but its ok because after that I have a whole summer full of reading to look forward too! 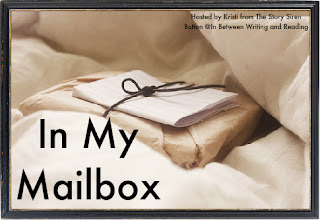 So what did you get in your mailbox this week?! I really like the cover of The Goddess Test. Enjoy! New follower. The Girl of Fire and Thorns was one of my favorite reads last year. Awesome pile. Come visit me as well. 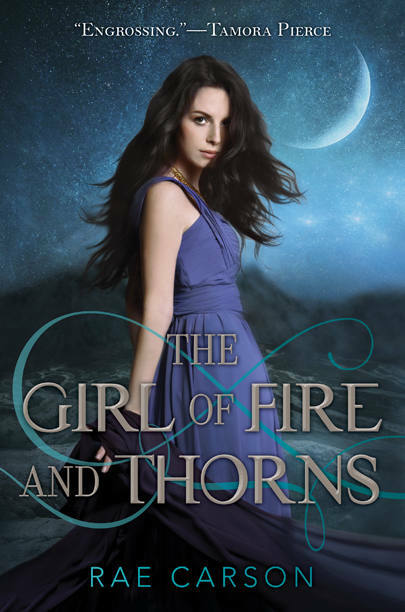 The book cover of the girl of fire and thorns look different from the one that I remember, it must be a reprint. I have heard great reviews about it. Do have fun with all these goodies. Great Mailbox! I really enjoyed The Goddess Test and Spellcaster. Hope you'll enjoy them too! I haven't found time to read The Goddess Test yet, but have read Spellcaster. Enjoy! It's great when you win books ins't it? Good haul! Did you know it's not prounounced AY-ME, it's pronounced AH-ME Carter. I learned that a couple days ago! The Girl Of Fire and Thorns looks good! Great Haul! I really want to read The Godess Test and Spellcaster. I really want to get my hands on a copy of Spellcaster! I've heard a tons of good things! The Girl of Fire and Thorns has been in a lot of IMMs in the last month, I wonder what it's about! The Girl of Fire and Thorns looks really great, although I have yet to buy it and read it, I can't wait to get my copy of it! The Goddess Test is a great greek mythology book! The Goddess book as a beautiful cover! I really want to read Spellcaster and The Goddess Test! i liked TGT, but Goddess Interrupted, not so much. Ooo GREAT books (and good luck with the law exams! )The Girl of Fire and Thorns and The Goddess Test are amazing reads! You won some great books, happy reading!